My friend Karyn is a high school physics teacher. To start the school year, she assigned her students a challenging project. She gave each pupil an unbroken Pringles potato chip. The assignment: package and mail the chip back to Karyn – unbroken. 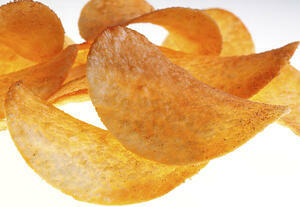 The goal would include creating the smallest and lightest package possible that would keep the chip intact. It would be easy to dismiss this exchange as another example of the lack of awareness of the younger generation. After all, how could you not know the address of your school? Or your workplace? After decades of working in the mailing business, I can assure you that there a lot of people that don’t know their correct business mailing address. And for companies that use internal mail codes, many people don’t know those either. The mailing address for a company may be different than the physical address for many reasons. Companies may not use the street address, but instead use Post Office boxes to speed up delivery and sorting of the mail. Or, a person may work in one building within a complex, but the centralized receiving and mail center may be in another building. Sometimes a company may want all employees to use the headquarters’ address, regardless of where they work. Internal mail codes add to the complexity of addressing. Many companies use a unique code indicating the physical location within a building. For example, a company may build a code based on floor, plus cardinal direction, plus aisle. If a person’s cubicle is located on the 2nd floor, west side of the building and the 4th aisle, then their mail code would be 2W4. Large companies may have more complex codes, depending on the number of cities or buildings. The proper placement of the internal code for mail being received is important. If an internal mail code is placed on a separate line below the street address, the U.S. Postal Service’s automated sorters may decode it improperly, and send the mail to another company. Follow the guidelines set in the Mailing Standards of the United States Postal Service (aka Publication 28) to ensure your mail is processed accurately. Clearly defined mailing addresses, combined with internal mail codes, help speed the delivery of inbound and interoffice mail. However, unless employees are properly informed about their proper addresses, and why those addresses are important, they won’t use them. Mail center managers must take responsibility for educating their fellow employees. Not just on the first day of orientation, but on a regular basis. Growing up in the 60’s, I remember the ads from Post Office Department featuring Mr. ZIP, encouraging consumers to use the correct ZIP Code on their cards and letters. The ads may seem “basic” or “cheesy”, but they worked. A similar internal campaign may work for your company. Physical mail continues to play an important role for businesses, government and educational institutions. Properly addressed mail will make sure that the right piece – will get to the right person – at the right time.